A very effective knife that is lightening and lethal that is customized to be as a integral part of your body; as an extension of your using hand..
My name is James Barnett. 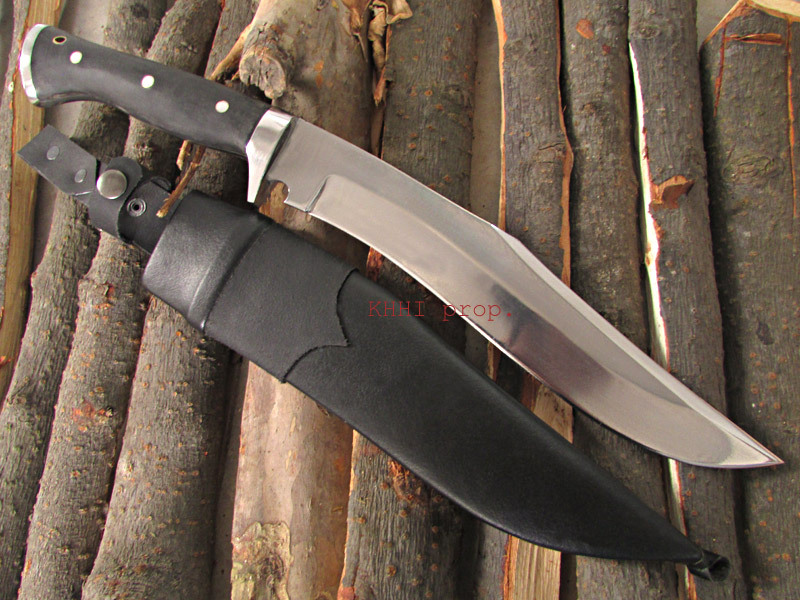 For a few years now I have been searching for a fighter style bowie knife, value for money and quality has been a hard thing to find together. most knives been made from cheep 440 stainless steel and not up to the job. After a few weeks of drawing different designs the J.B electric bowie was born. 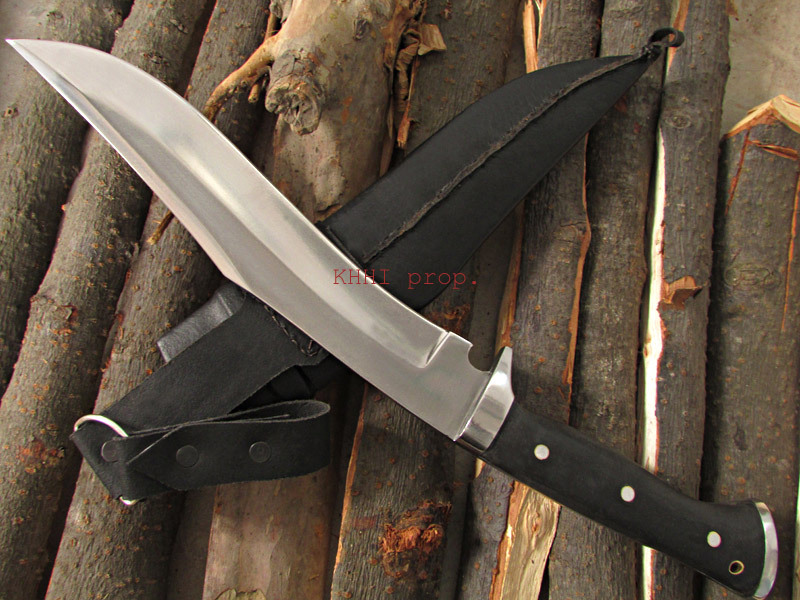 I knew from past experience that KHHI craftsmen would be more than up to the job of making my design come to life, as the knife was nearly finished, Saroj Lama Tamang (MD of KHHI) liked my design so much that he wanted to offer it as one of his many quality knives, so lf you are a collector a hunter a bush crafter or in the military the JB electric bowie is the knife for you. 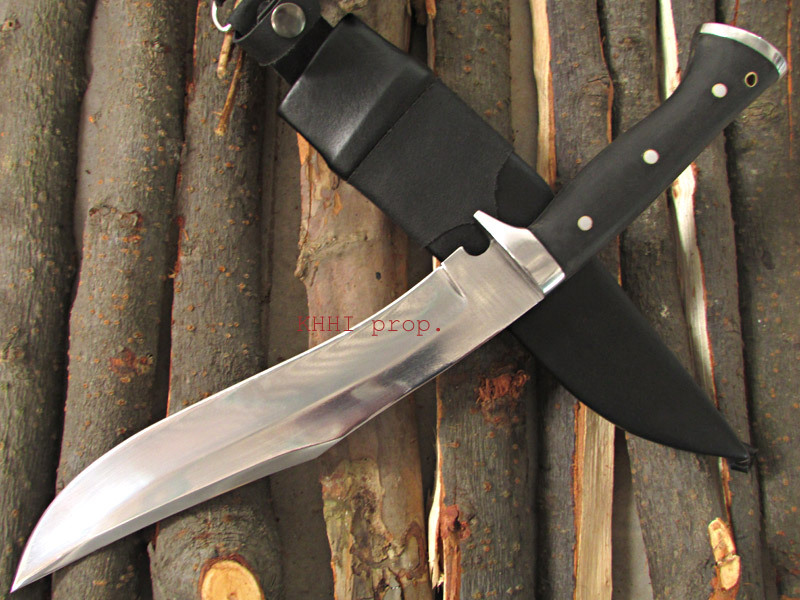 it has a 9" high carbon razor sharp blade full tang construction with high quality black buffalo horn scale's glued and pinned in place, it has a solid steel finger guard and pommel welded to the tang for extra strength and durability. 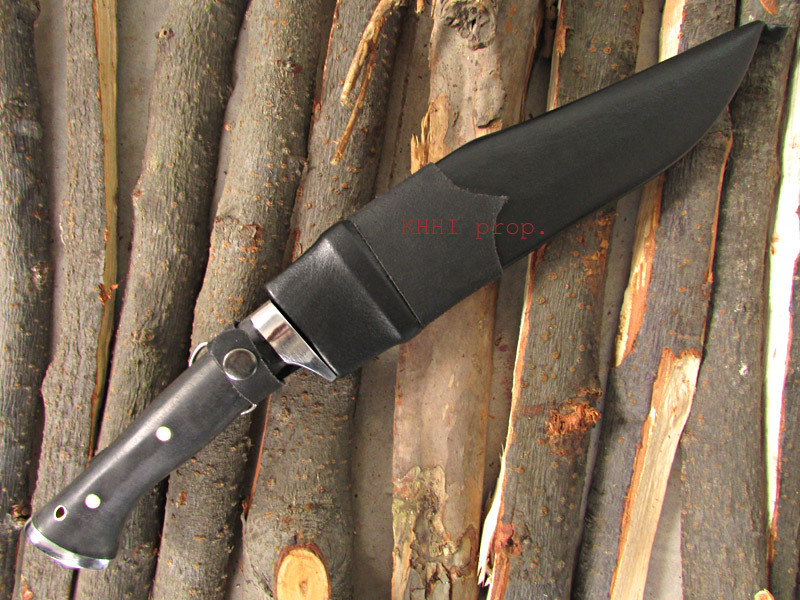 so if you want a knife that is both functional and elegant then the JB Electric Bowie is the knife for you. 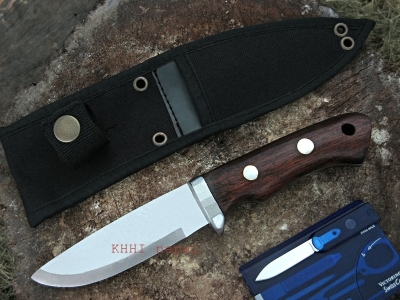 Amongst the many projects KHHI did with various personalities, “JB Electirc Bowie” knife is one of the most fascinating due to the fact that it was so carefully planned from very possible angles and executed in such a fashion that it would make a complete, dependable, very fast operating and versatile bowie. Here the designer, Mr. Barnett, played with the sketches over many times before he finally settled in that would make the most ideal and agile knife. 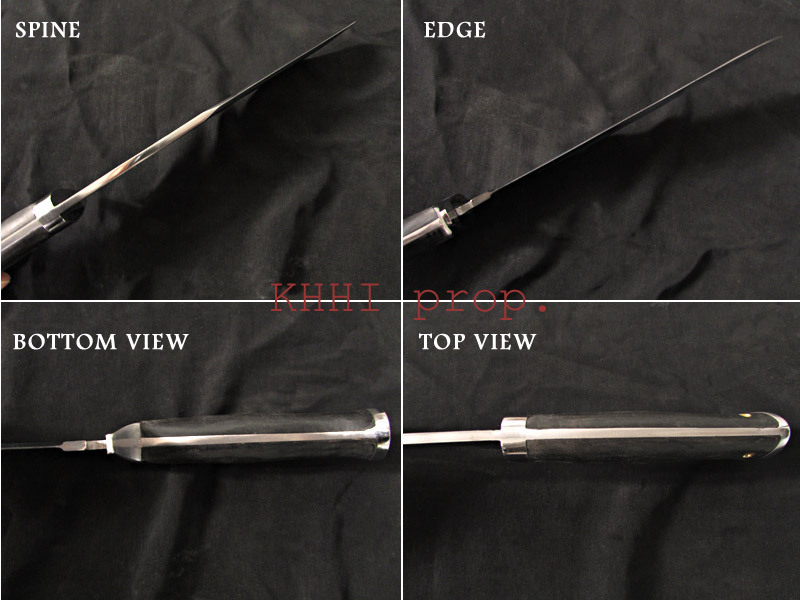 The goal was to craft a super-fast, easy handling, extreme mobile and very effective cutting tool that would be a part of your body, just like the extension of your own hand. 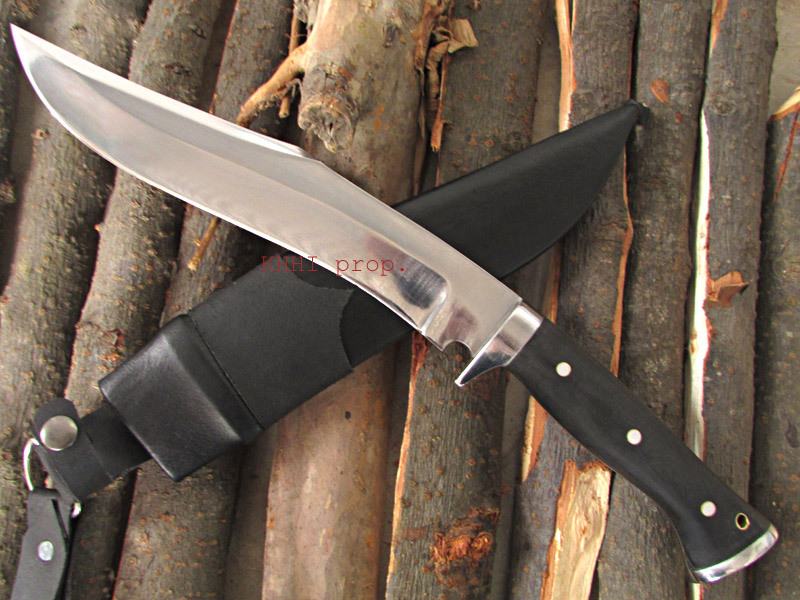 The creator has equally thought of safety of the handler and the carriage by putting in a vertical guard and special “D” ring frog respectively in the bowie. The knife is also very beautifully outlined and thus appeals an eye as a great displayer. So next time when you go out in the woods, don’t forget to take your other piece of hand along..